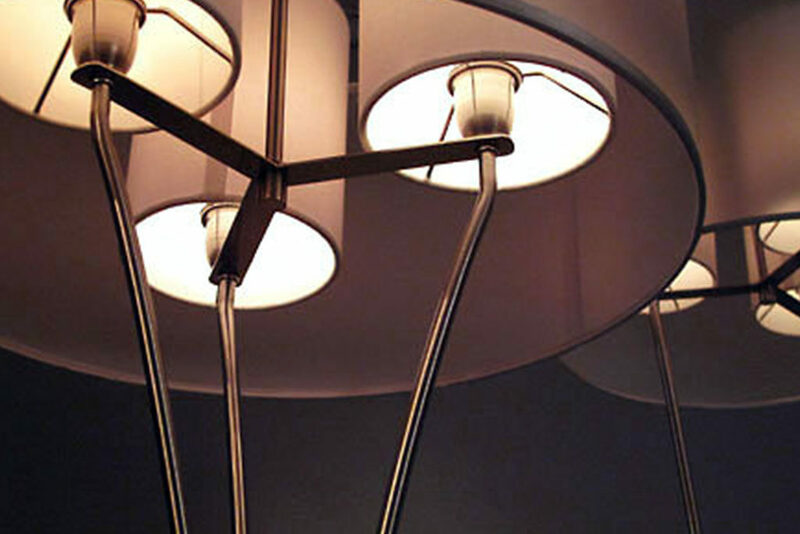 is an elegant, unique table lamp. 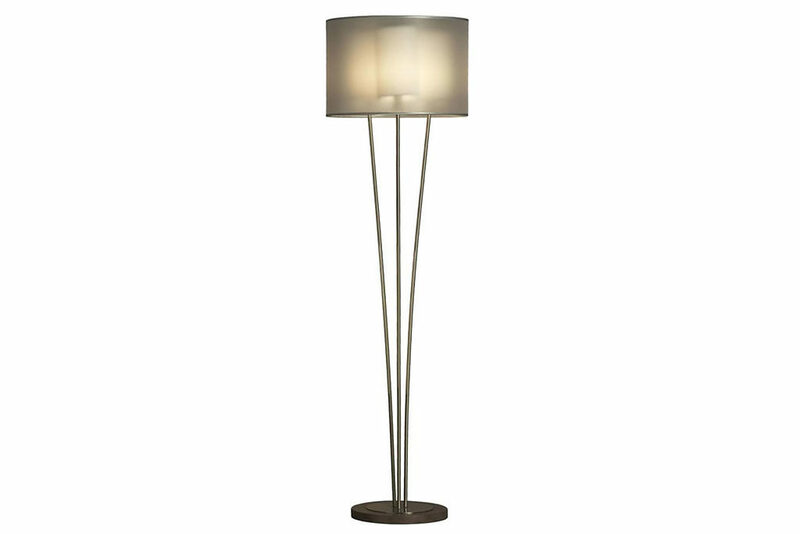 Designed with a modern, contemporary style and finished in brushed nickel with a walnut base. 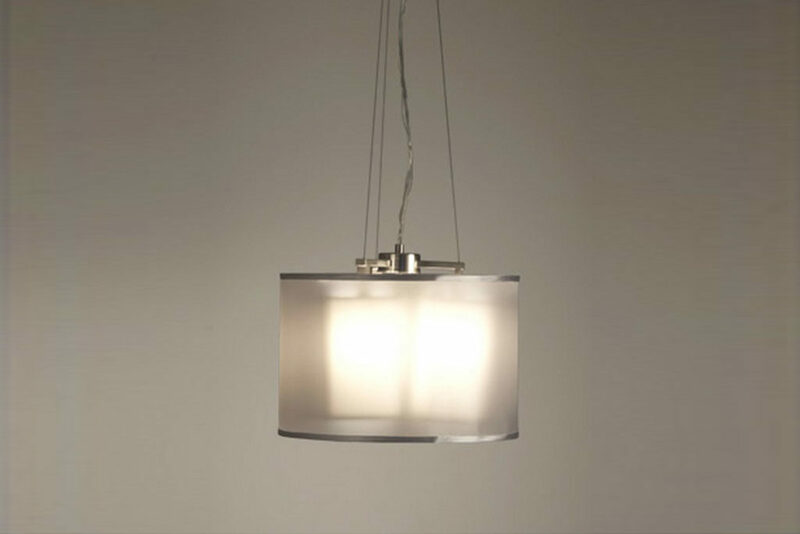 The ghost shade detail adds depth and luxury.